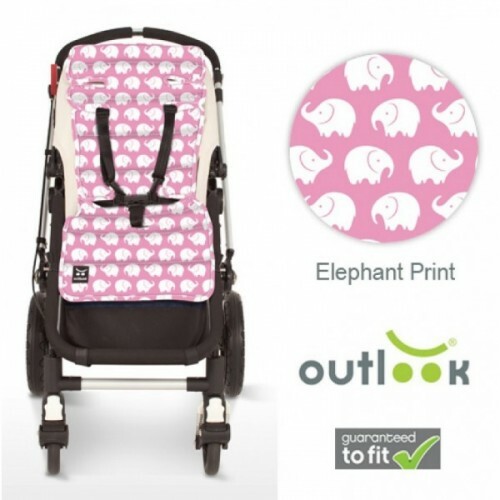 Outlook's® range of Cotton Pram Liners add a touch of luxury to your baby’s ride whilst protecting your pram from general wear and tear. Made to the highest quality standards using premium materials, the combination of a pure cotton sateen outer with the 350gsm polyester fill was chosen for its ability to maintain a cool temperature, providing soft and durable comfort for your baby. Our vibrant, modern designs are created in collaboration with local Australian designers and make a stylish statement which can be removed easily for regular machine washing. By milling and printing our own fabrics we maintain complete control of the production process, meaning our customers can rest easy knowing that we guarantee our fabrics contain no nasty chemicals and are safe for their little one. Generously long and the only liner on the market guaranteed to easily fit all pram models – or your money back – Outlook Pram Liners are a quality made product, designed in Australian by mothers who understand the requirements of both baby and parent. • Outlook’s range is baby safe with no nasties such as AZO dyes!